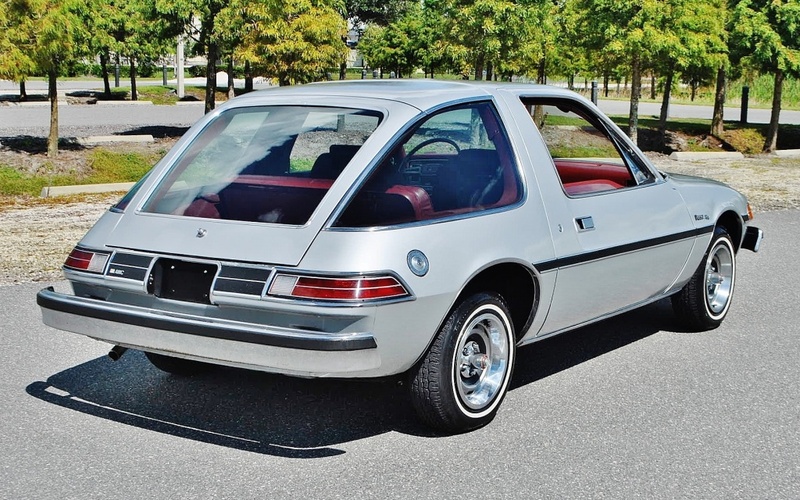 Owning an AMC Pacer probably isn’t on most people’s bucket list, but when any classic car pops up on the market in this kind of condition and with this low of mileage, we take notice. 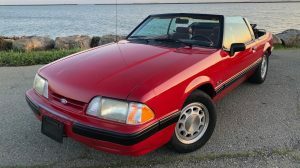 The seller spends most of their description trying to create hype and doesn’t delve much into the condition of the car, so besides the mileage claim there isn’t much to go off of. I’d want some closeups of the door-jams to confirm that the paint is original and some photocopies of the documentation to prove the mileage. It does look good in the photos though so maybe I am just being overcautious? Take a look here on eBay where the auction ends tonight. Thanks goes to Charles H. for the tip! I can’t even imagine how slow this thing must be! Then again, with all the then new emissions requirements most everything was slow in 1978. It looks pretty clean under here though. The seller doesn’t mention anything about what work has been done or if it even runs, but they do mention that serious buyers will be given access to a walk-around video. The interior does look pristine. The automatic transmission isn’t going to help with that lack of motivation out front, but I have a feeling that this thing isn’t going to see much more use on the street anyway. 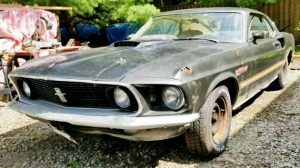 It will most likely wind up in an AMC enthusiast’s collection. Here’s a good shot of the fish bowel back end. These are funny looking cars and driving one today will put a smile on your face because of it. One of the most humorous things about these cars though is the fact the passenger’s door is actually a few inches longer than the driver’s. It was supposed to make getting into the back easier, but after looking at the exterior one can’t help but wonder if the designers did that just to be odd. 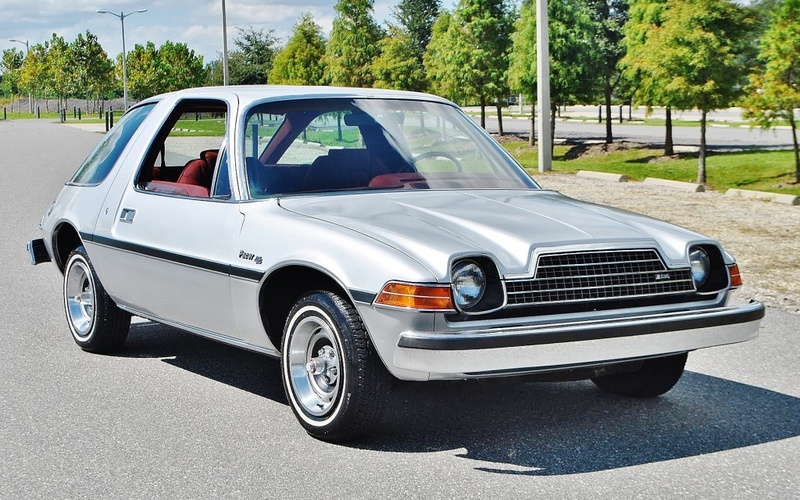 Either way, if you are in the market for a Pacer, this could be the best one around! Gotta say, Jesse, this is the first time I’ve ever heard a car’s posterior described as a “fish bowel back end,” and I knew a few pretty outspoken and verbally adept designers back in the day! I wouldn’t even look at this car, as it seems too nice to fool around with, even though I can’t believe that’s OEM carpet inside. Every time I see a Pacer — rarely, of course, and that’s a shame — the words “small block Chevy” echo in my head. Wouldn’t do much else, certainly not to the exterior, but this example looks like it deserves better. Oh, and before I forget: It has been years since I saw “Wayne’s World” (and liked it) but I could swear the AMC product Wayne and Garth drove around in was a Gremlin…. I would say the same thing about the carpets. My first new car was a ’76 Pacer X (Firecracker Red with white vinyl top, white upholstery, and black carpets, 3-speed manual on the floor, 258 CID 6). In early 1979, I was in the US Air Force, getting ready to transfer to Germany. I figured that I would probably have problems with parts over there, so I sold it before leaving. It looked quite good, except for a few minor issues: the black carpeting–especially on the door panels, had faded to a spotty grey. I bought a can or two of flat black spray paint and with appropriate masking, the carpet looked like new. One of my many hobbies was Amateur Radio, and foolishly, I had drilled a hole in the roof so I could mount an antenna there. It was a generally attractive/professional-looking installation, but a bear to get out (down came the headliner, once again, as well as some of the interior trim to remove all the cabling, and free the extremely recalcitrant brass locking collar–I invented some new “blue” words during that extraction operation). I located a rubber plug to plug up the hole in the roof, on top of a layer of silicone sealant for waterproofing. I also had to scour a few junkyards to find a deceased Pacer to get the top-of-dashboard radio speaker grille, to replace the one I cut up at one point to install an automotive gauge package. It was in better shape, color-wise, than the broken-up one on my dash, probably thanks to the car spending several months in Arizona. I also used a LOT of Armor-All to restore the somewhat faded black plastic. I wound up selling the car to a Broward County Sheriff, who bought it for his wife. She wasn’t wild about the manual transmission, but he talked her into it. The only real problem I had with this car, one they probably discovered after an appropriate amount of time had passed, was its habit of eating clutches. In the two-and-a-half years I owned it, I went through three clutches (no, I didn’t ride it or otherwise abuse it), and a couple of additional throwout bearings. I think there was some fundamental misalignment in the drivetrain that caused this problem, but the dealer was never able to figure it out. Another possible reason for the excessive wear was that 1st gear probably wasn’t quite low enough to pull a 2.73:1 rear axle ratio (requiring lots of clutch slippage to get it under way). With a relatively underpowered 258 CID 6, it was a challenge to climb long grades (it really slowed down when approaching the Continental Divide along Interstate 10 in Arizona/New Mexico). The Broward County Sheriff never contacted my parents in an effort to locate me (safely living in Germany at the time), so I guess if he had needed to replace the clutch, I wasn’t blamed. 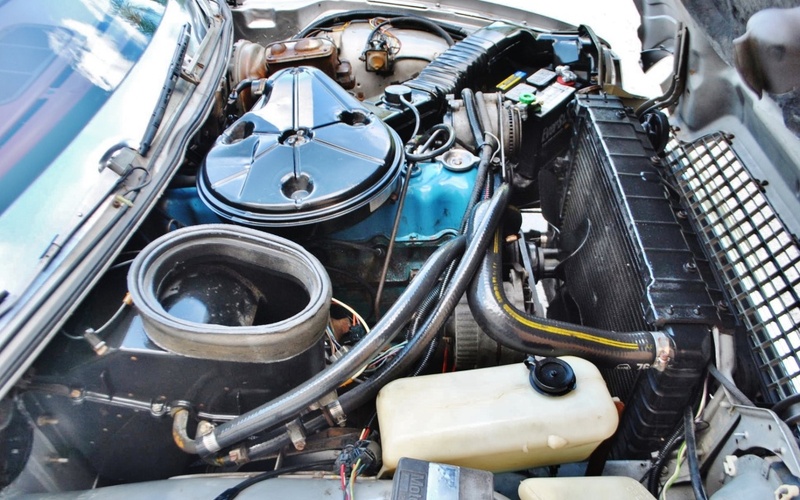 The only time my Pacer (spelled backwards is Recap, by the way) failed me on the road was when I was on temporary duty (US Air Force) in Tucson, AZ, in June or July, when the ignition coil failed. The engine just simply stopped. It cranked but obviously no spark. You know, in the 25,000 miles I drove the car, that was the only time I was stranded, and it was at least in downtown Tucson. Someone helped me push it to a service station (when those still existed). The mechanic quickly diagnosed the problem, and I was on my way. I figured the excessive heat outside, acting with the heat under the hood, accelerated the coil’s demise. 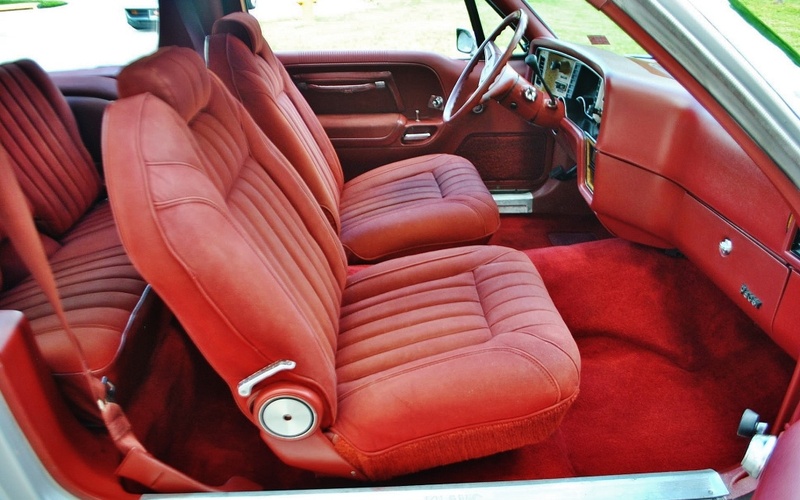 In the end, I think the only real beef I had, as I had to drive long distances for my Air Force job, was that the bucket seats weren’t terribly comfortable, though they were better than my VW Beetle’s, or the worst of all, the factory buckets in my 1968 Plymouth Valiant Signet 4-door. Those were true instruments of torture. If they had been sent to Guantanamo, any prisoner/terrorist unlucky enough to have to spend any time sitting in them would be begging for mercy within two to three hours, and would have told their captors anything they wanted to know. My last four VWs (Passat Wagon V-6, two Jetta diesels, and currently a Golf diesel) have/had superb seats, permitting me to drive 700+ miles at a stretch and still feel fresh as a daisy at the end of the day’s drive. Had a 76 X in Sun burst yellow 3 speed. Black interior. Yes I had clutch problems too. Anyone ever drop a small block in one of these to make a drag car or a wheel stander. I’ve seen Pintos / Vegas / Gremlins but no Pacers. Just wondering. 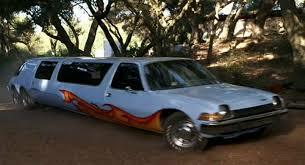 I have a friend of mine who owns a Pacer wagon with a 500 Cadillac engine swap done to it. Even has a Clergy front vanity plate on it The ultimate sleeper! Wow that must be a tight fit Ralph, love to see a picture of that ride. Got one ??? I wonder how many other cars have sat in garages without accumulating many miles because the owners realized they didn’t really want to drive them after all. I have nothing whatsoever against either people who own and love AMC Pacers, or the cars themselves, and I apologize in advance to anyone who was harmed by the making of my comment. PS: Having just read the Ebay listing description, I admit that I had not realized that this vehicle is a piece of Americana and also a distinctive work of art. Therefore I take it all back. 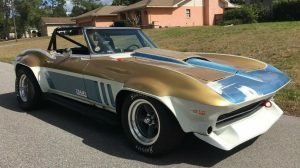 seller has 64 vehicles listed on ebay, something for everyone. this one sure looks good in the photos but it is at $ 8100 with reserve not met. great find. I live near the seller and checked out a few of his offerings. They look great in the pics, but terrible in person. A buddy says there’s a version of photoshop for car dealers that can be used to make cars look incredible!! The one I looked at recently looked MINT online, in reality, the top was moldy and dirty, interior dirty and missing pieces of outside trim that were in photos. Out of curiosity, which car? I looked at his ebay list, and some of them looked nice. Even back in the day I liked the look of these cars. Keep it in the family. Drop in a built 401.
final bid was 8,100. us dollars. That is one car that should stay in its barn. 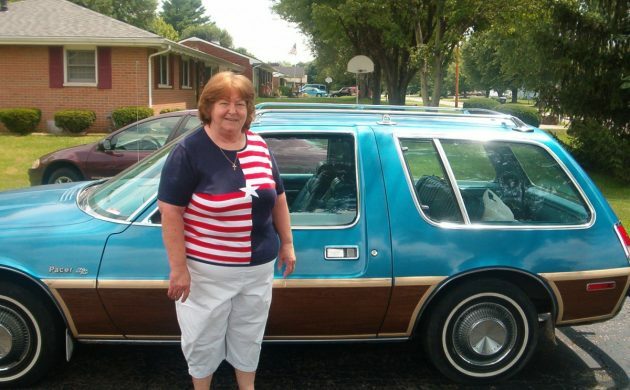 Years ago, a coworker had a Pacer that he bought new, and he let me drive it. 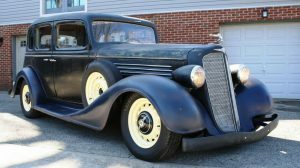 It drove like a truck, with its anemic 6, automatic, and manual steering. 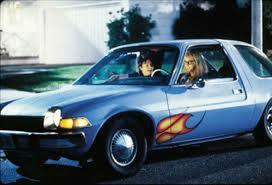 The Pacer sure got a lot of comments and criticism back in its day. I was a bit of an AMC fan, and thought the styling was bold and unique. But when they dumped the slope nose for that flat grill from a Lincoln Continental, I don’t know how any sane person could defend that styling. I remember watching a race on TV once which was all Pacers running on radial tires. What a hoot. 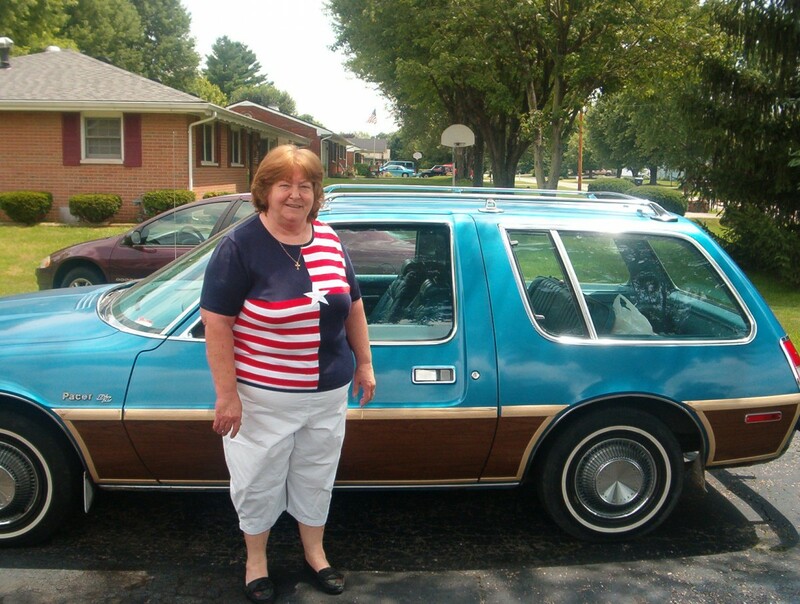 I got a 1978 pacer wagon, love it, gets attention when I go for a ride.